This hasn't been stellar blogging week for me. Instead, it was a pretty stressful week with a couple trips to the vet to try to figure out what was wrong with our Sallie girl. Of course, it turns out, it was NOTHING. Blood work came back good, and the x-rays were fine, too. Ugh. So, my theory is that she had a terrible case of gas. Ouch! She is getting much better now - if not a bit spoiled. She still won't eat her regular food, but is gobbling up the canned dog food. Monday: Beach ISO Attack Workout (pin). Wednesday: 10 Burpees. 20 min stretching/yoga (YouTube). Thursday: 20 squats. Erase Arm Flab - Fast (pin). Miley Cyrus Ab workout (pin). Friday: 25 min Restorative Yoga w/ Sebastian & Gillian (YouTube). I did pretty good with using up the veggies from our Bountiful Basket. We did get a pineapple that ended up rotting before I got around to cutting, so that kinda sucked. I did use all the broccoli (which I normally never do) and all the zucchini. Since we only get a basket every other weekend, and try to only do grocery shopping the same weekends, this week's menu is using ingredients we already have on hand. Be sure to stop by Mommy Run Fast and check out what everyone else is cooking up this week. Lots of green smoothies on my menu this week. Again! My workouts last week were running and yoga. I'm loving that fitness combo. 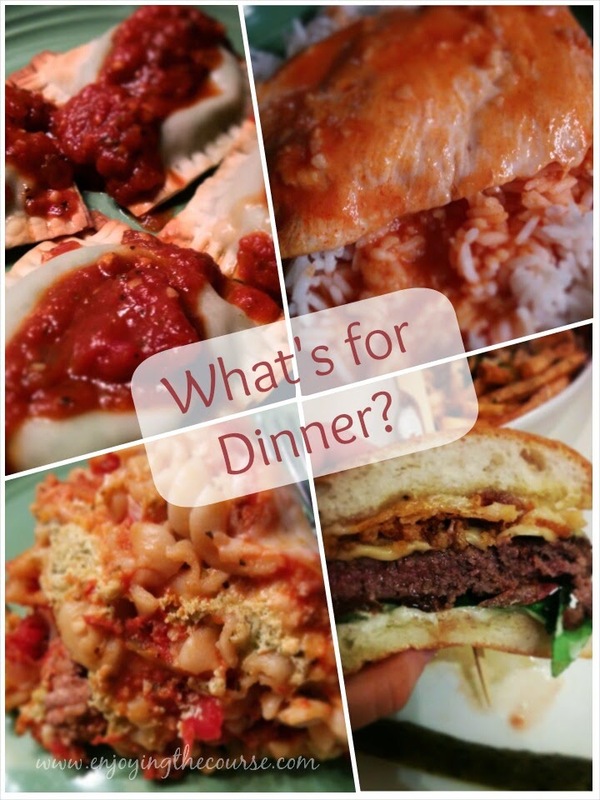 Thanks for linking up with Laura and I to share your menu! Hi Jill! You and your green smoothies. :-D I love the running and yoga combo, too. Glad Sallie is ok:) Workouts were good last week, hoping to keep it up this week! We're super happy that Sallie is OK and almost 100% back to normal now. Yay! Congrats on a good workout week last week and cheers to another good week!